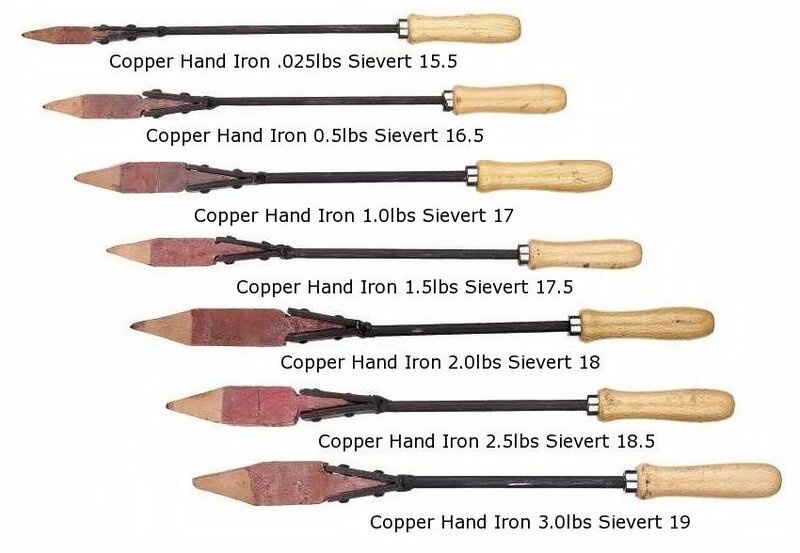 These copper irons consist of 99.8% virgin copper and include the wooden handle that is attached to the iron itself. These irons are perfect for the welder who enjoys using charcoal or propane pots. #.5 size, 0.25 pound, 15.5"
While supplies last. Other sizes have been discontinued.